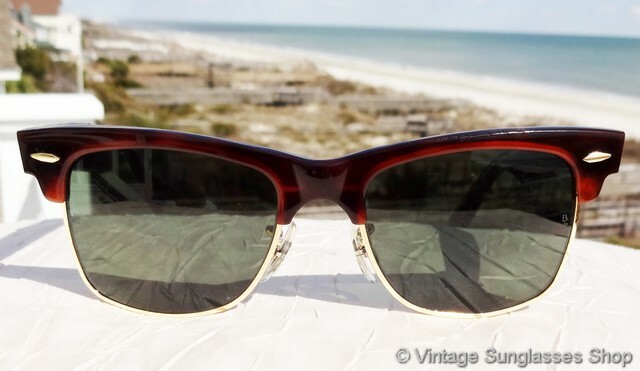 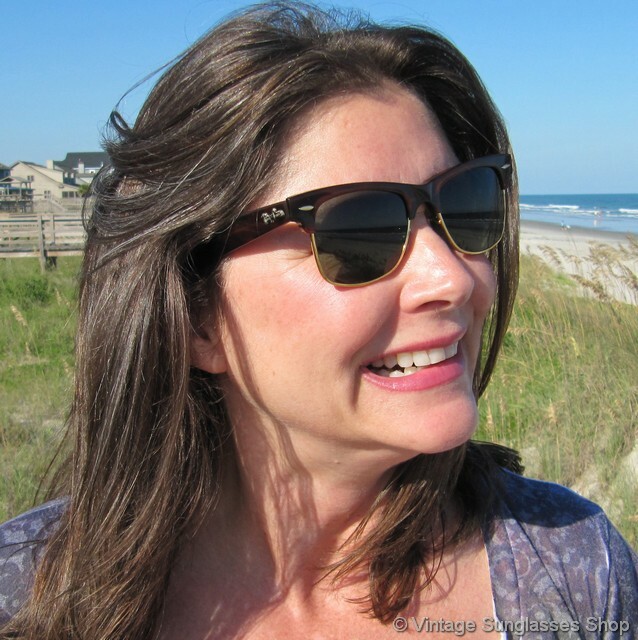 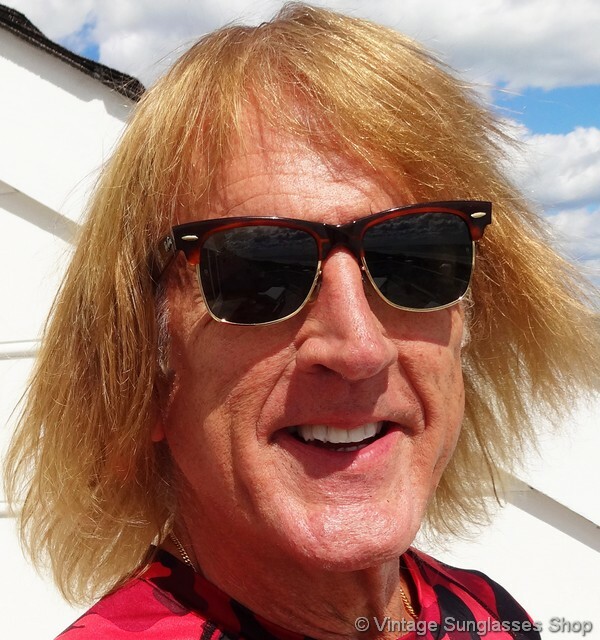 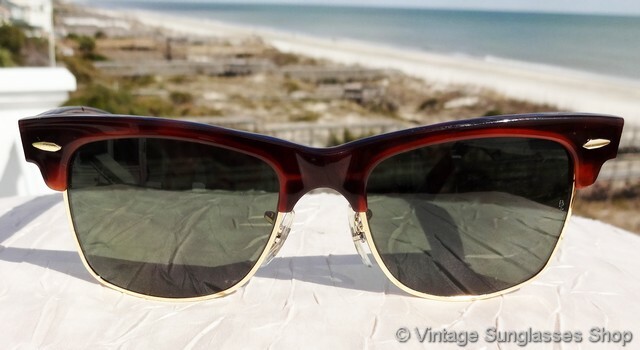 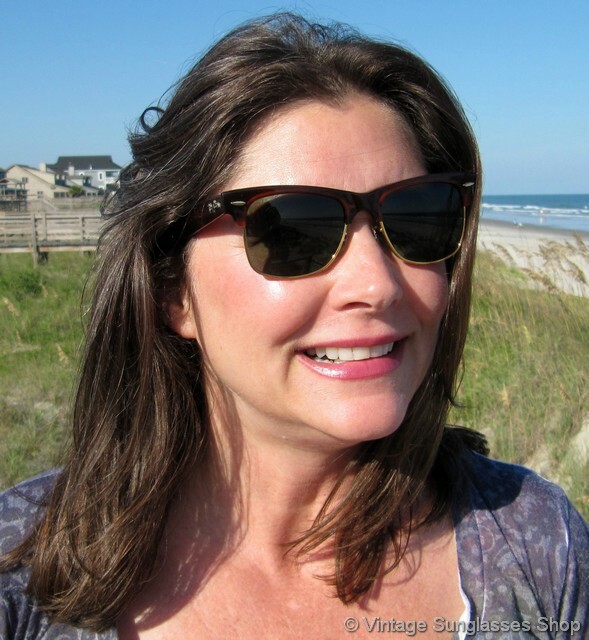 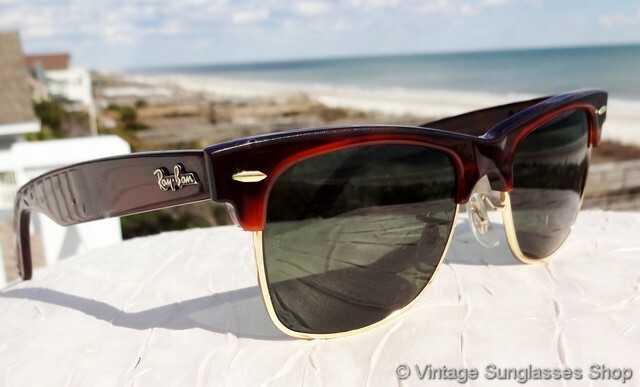 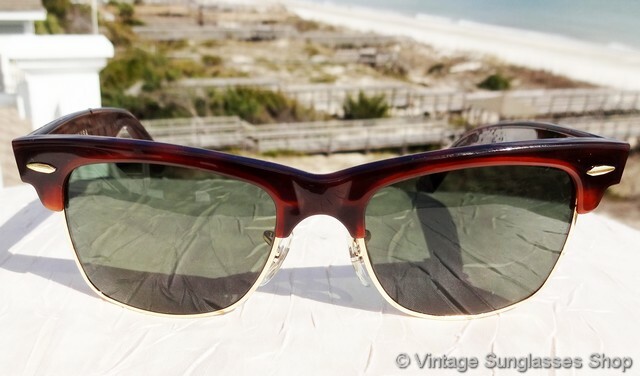 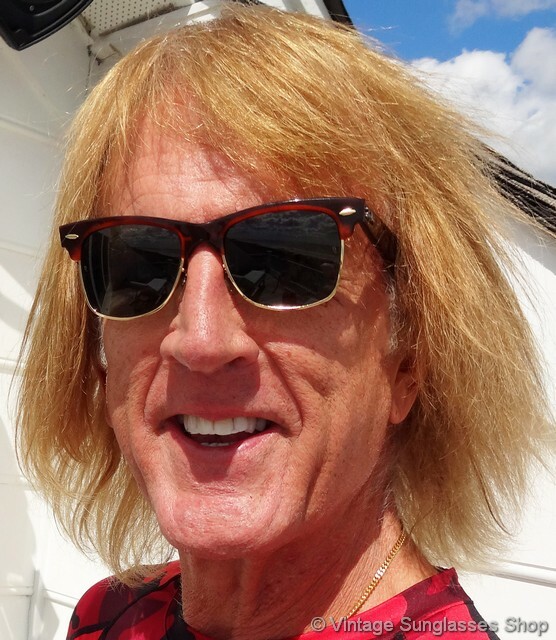 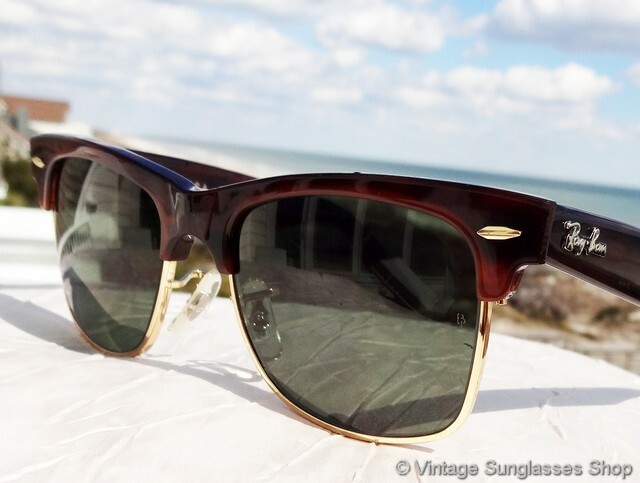 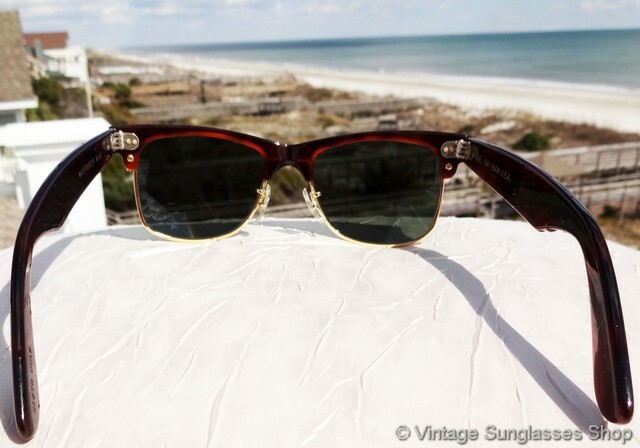 1 Vintage W1270 Wayfarer Max sunglasses with the most popular combination of mock tortoise shell and Bausch & Lomb G-15 anti-glare lenses are hard to find and look great on both men and women. 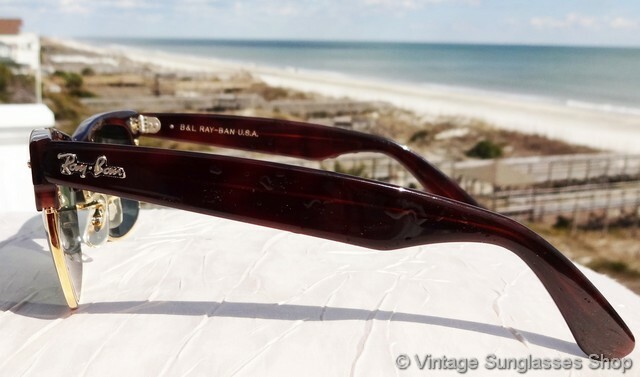 The tortoise shell top accent of the W1270 complements the gold plated lower portion of the front frame and the green B&L G-15 lenses. 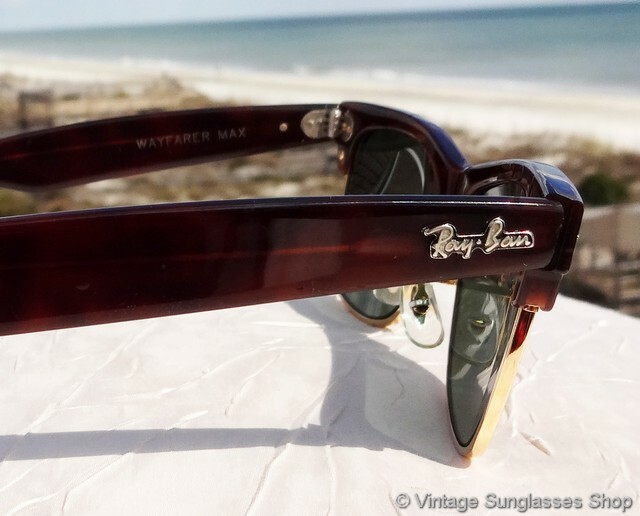 The Wayfarer Max style c 1980s retained the basic shape of iconic Wayfarers but it added some extra design flair with the addition of the front frame contrast of gold and top accent bars. 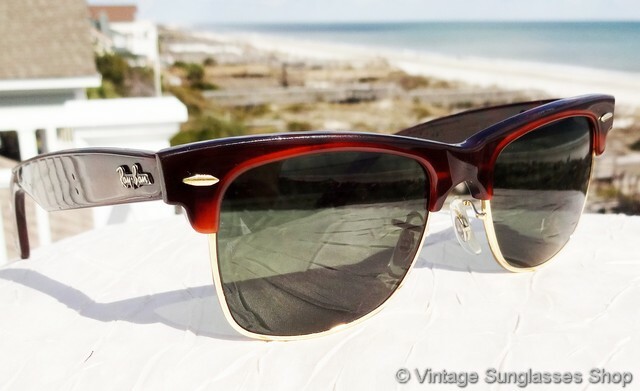 This is the smaller size Wayfarer Max, with frame measuring approximately 5.25" temple to temple with B&L G-15 lenses measuring approximately 1.875" x 1.675" at the widest points. 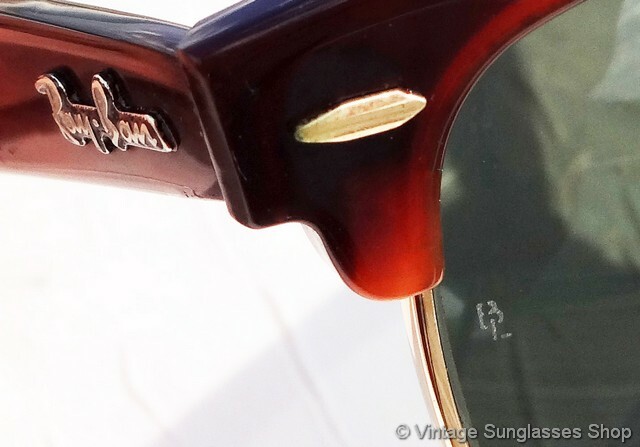 You'll find the Ray-Ban logo in raised metal relief on the exterior of each tortoise ear stem, and the inside of one stem is impressed B&L Ray-Ban USA while the inside of the other stem is impressed Wayfarer Max and on some production W1270 YTAS is impressed on the ear pad. 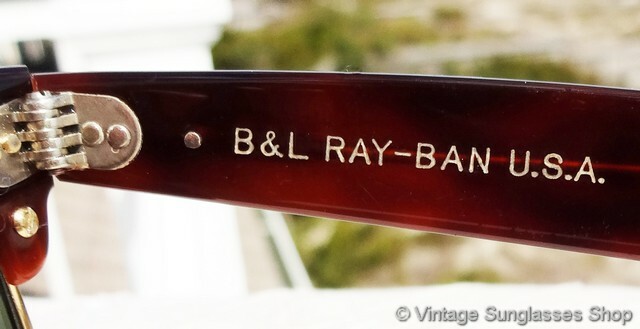 Both Bausch & Lomb G-15 anti-glare lenses are laser etched BL near the hinges, part of the collection of a well known sports figure and long time customer of the Vintage Sunglasses Shop. 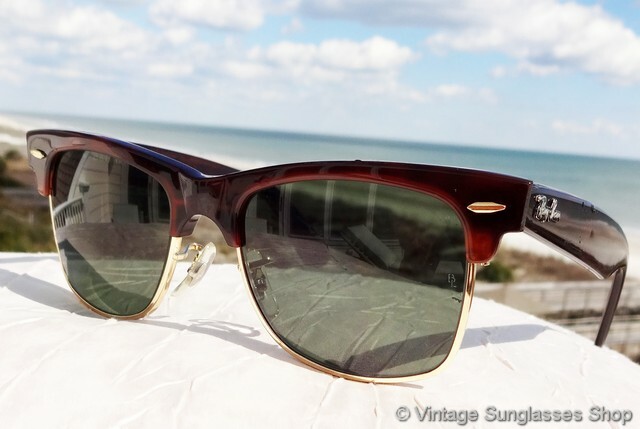 2 Step up another level beyond our already unequaled vintage condition standards with new old stock B&L Ray-Ban W1270 Wayfarer Max tortoise shell sunglasses in mint, unworn condition.